Dietitian Toral Shah has shared her inputs on ‘When to start baby food – 6-month baby food chart’ for 4 weeks. As per Indian traditions, the ‘Annaprashana’ literally means ‘food feeding”. It is a custom followed by most Indians that mark an infant’s first intake of baby food other than mother’s milk. The traditional custom is usually carried out when the child is about six to eight months old — (even months for boys i.e. either 4th or 6th month and odd months for girls .i.e. 5th or 7th month) when the teeth have just begun to appear. It also depends on an individual as each child’s milestones differ. An auspicious date is decided with a priest’s (pandit) consultation. It is an occasion for celebration and extended family, friends, and neighbors are invited to attend. 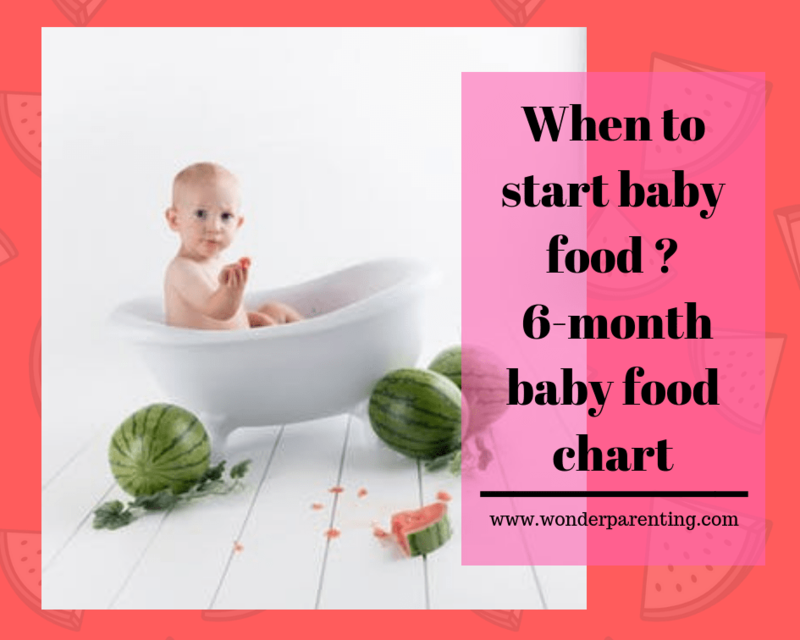 When to start Baby food? Experts from medical fields agree that it’s best to wait until your baby is around 6 months old before offering any food other than breast milk, as breast milk contains many immune factors which in turn protect babies from infections like respiratory tract infections, stomach (G.I) infections, allergic diseases, ear, and throat infections. 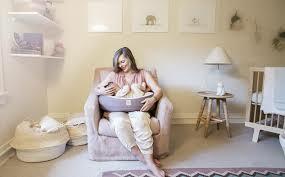 Exclusively breastfed babies up to 6 months have a lower risk of developing obesity and diabetes as adults. Breast milk is loaded with nutrients that are in perfect proportion required for an infant’s first 6 months of growth and development. Introduction of solid foods at 6 months along with breastfeeding will help to maintain babies’ iron levels. And keep other nutrient levels in proportion. Infants develop their physical skills to swallow solid foods, by pushing the food with their tongue backward by 4-5 months. And their body’s system develops physically by 6-8 months to accept any solid foods. 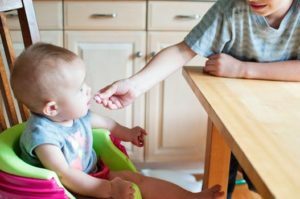 Few signs of babies’ development which help parents to understand that babies are ready to eat solid food. An infant can sit up without the support and can hold his head on his own. They have developed the coordination to stack rings or cups without the help of anyone. Baby tries to reach your food when you are eating. For your first few feedings after breastfeeding, give your baby just 1 or 2 teaspoons of pureed solid food. Gradually you can increase the quantity as and when baby tolerates, And by one year start six small meals gradually reducing breastfeeding. Between 6-12 months, the baby’s vitamin and mineral (especially iron and calcium) requirements increases which will not be sufficient from only breast milk. So the introduction of solid foods will help to build their immunity as well as in baby brain development to learn and grow strong. The Indian traditional way to start solids is by spoon and bowl – to feed your baby rice kanji or fresh fruit purees with no added salt or sugar. Other solid foods like sweet potatoes puree, moong dal water, bottle gourd puree, applesauce, mashed banana, ragi porridge don’t typically cause allergic reactions. But observe your baby for allergy as a precaution. Dilute your feeds with apple puree or barley water. Once you start solid foods how long should you wait before introducing new baby food? Once you introduce solids to your baby, give him at least 2-3 days to get used to with the same baby food. Give food mostly at the same time and in the same quantity before introducing another food. Feed solids for breakfast or lunchtime, avoid later part of the day. After each food, check for allergic reactions such as rashes, diarrhea or vomiting. If any of this occurs consult your pediatrician. By the end of the 6th month, your baby would have been introduced to at least 7-8 new foods. You can feed the food at any time of the day, based on your baby’s routine, needs, and growth. Avoid sip of any sugary drinks, licking chocolates, lollies, cookies, etc. This may seem fun but this might affect the baby’s future health. Sterilize all feeding utensils, make sure they are absolutely clean. Increase the quantity of the food gradually. Always start with a single food. Combination of food can be started only after a month of solid food introduction. Warning: Remember, always consult your pediatrician regarding introducing solid foods to your baby and specifically discuss any foods that may pose allergy risks for your baby. To know more about how to make children eat nutritious food, you can read the series of books developed by Toral Shah “Kids’ Food Planet”. Please share your experience with us in the comments section below. Wish you a very Happy and Healthy Parenting! Why do mothers appreciate Mother Sparsh Baby Wipes?